This wasn’t my least favorite Loved Ones visit, largely because everyone seemed to be displaying genuine emotion rather than hamming it up for the sake of television (which I felt most prevalently in MvGX, Adam notwithstanding). So that was neat. Also, as my girlfriend pointed out, Sebastian’s sister’s choice of shorts was… interesting. Honestly, this tagline isn’t at all sarcastic, and the fact I need to make that clear is indicative of how little we got to see Chelsea. Fun fact: my girlfriend actually said, “I forgot about her,” when she got her lone confessional this episode. At that point, everyone should’ve known this gal was doomed for the Jury. Chelsea, while not being the challenge presence Chrissy became last season, was a strong force in virtually every individual challenge, and I will continue to contest that she played a far better game than we were ever privy to seeing. She seemed socially aware enough to quell fires and stay out of the spotlight even after being on the wrong side of votes. Alas, this (unfortunately) boring villager should have seen at least one more Tribal, but it was not meant to be. Sorry, Chelsea—not just because you lost, but because you did so without anyone every really knowing who you were. Oh well, go join one of the best-looking Juries I can remember! I’m going to be honest here, folks. This post is going to be one of my shortest of the season. I don’t like my posts trending in this direction come the end of a season, but HvHvH and Game Changers both had more hypothetical moving parts than this one, so writing about the what ifs or the several potential winners was fun and obviously took up more word count. Now, and I’ll say it again, it’s just a slog to make it to the FTC where we’ll see a likely superb showdown between Dom and Wendell. Until then, it’s just killing time. Anyway. In the past, many of my least-favorite seasons have come from having a player so dominant that the season is not fun to watch as it’s nearly a foregone conclusion said player will win, especially given how unlikable the cast around them seemed at times. Thailand, Redemption Island, and One World stand as the best examples here, but even through editing (certainly not pure gameplay), Worlds Apart is guilty of this as well. Ghost Island, on the other hand, has become slow for a very different reason: lack of gameplay. Yes, the argument could be made folks in Thailand, Redemption Island, and One World could have revolted against Brian, Rob, and Kim respectively (although their immunity prowess did make that rather difficult), I personally view these three as elite players. I’ll be pleased with either Wendell or Dom winning this season, but they’re not the same caliber of player as the aforementioned three. 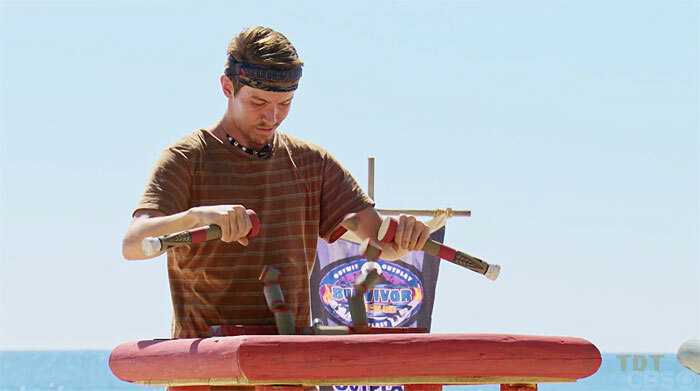 Dom’s social game in the early stages of the game was flat out bad, and had Naviti gone to the first and even second Tribal, he likely would’ve received votes for it. 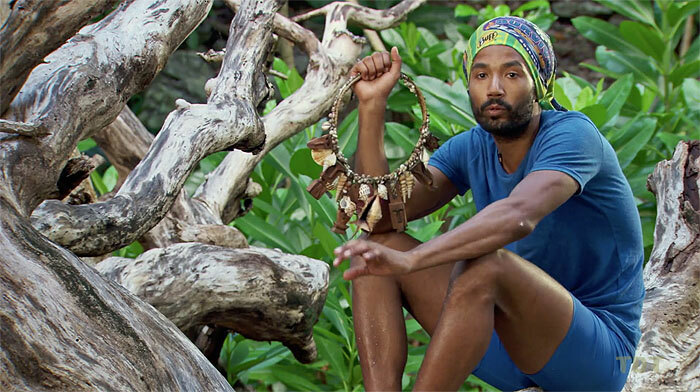 Wendell, on the other hand, while having a damn fine social game throughout, has not shown the strategic finesse Dom has when it’s come to who to trust and when to be appropriately paranoid—not to mention he fumbled like Malcolm with the challenge this week. Oh, also, both of them tipped their hands about their idols far too soon. Both are good, even great, players, but they’re not elite in their first round of play—to be fair, however, neither was Boston Rob. No, dearest readers, the problem with this season does not lie with its stars, but rather, with its supporting cast. While I could use this time to mention how, in the final eight, there were essentially three complete non-entities in Angela, Seb, and Chelsea, we all know that’s not where this is going. Laurel, for as passively as she’s played, has somehow found herself in a position to take the reins of this game again and again and again. Did it make sense for her to side with the Malolos in the Libby vote? In the long run, probably not, so her choice here was a solid one. Did it make sense for her to blow up Des’s plan to blindside Kellyn, of all people? I mean… no. I still think this was a poor, poor decision, because it would have kept options open while adding to her barren resume. Did it make sense for her to stick with Wendell and Dom rather than go with Michael and Kellyn and ditch one of them (as post-game interviews have told us was an option)? Probably not, no, because she would have conceivably had flex to go back to the remaining one—Dom—as he’d have been in need of all the allies he could possibly muster, at that point, plus she’d have more options. And this week, did it make sense for Laurel to not even try and flush Wendell’s idol to at least take one more variable out of the mix? Again, personally, this was a bad move given how much weaker a final five of her, Donathan, Kellyn, Chelsea, and Angela would’ve been… weak enough that Laurel could’ve very conceivably won! Regardless of your opinions on Laurel’s choices, however, the fact remains that since the Merge, no player has had the opportunity to change the game and make moves more than Laurel—four times in essentially five Tribals attended. She definitely didn’t need to make a move every time, but all of her patience has added up to nothing. For all of her hard work to make it into this power positions, she squandered every opportunity. Although, simply numerically, she’ll have one more chance to do this next week and take out Dom, Wendell, or Sebastian, looking at the edit, the only feasible boot would be Seb, and how does that really help her? She’ll be taking out one of the other people she might be able to beat. No, this, in my humble opinion, was her last, best chance to really take this game by the balls and steer it towards an, albeit riskier, endgame, one she was not dragged to, but one she created. I mean, just imagine if Wendell had gone home this week? This season would’ve turned right around. I know what at least some of y’all’re thinking at this point: I’m being unfair to Laurel; Donathan is just as guilty as she at playing a passive, beige game that, barring the preview for next week, will almost certainly get him to the bitter end, only to lose. To that, I have no real rebuttal. That’s 100% true. Donathan has allowed this season to become the drag it is just as much as Laurel, but—and this, dearest readers, is what I believe to be an important distinction—Donathan has shown a willingness to at least do something when not under Laurel’s influence. There are two instances I’d like to note. Firstly, although it’s not Survivor “canon,” Donathan mentioned to Dom pre-Merge that Bradley wanted to boot parents (like Brendan and Steph) sooner rather than later as he was afraid of losing to a Jeremy Collins-esque player. This, if interviews are to believed, led to Dom throwing the final pre-Merge challenge which led to Bradley getting cut. What’s more, Donathan was more than down to not go along with what was the perceived easy vote in Libby that round, even if it might not have been smart to do so. Secondly, last week, when separated from Laurel, Donathan made a move, playing his idol in an attempt to boot one of the physically stronger Naviti players in Sea Bass. This, of course, did not work out even remotely well, but at least he tried to do something, albeit poorly. Given the submissiveness of this season’s crop, I’ll take that as something positive. So, it would seem, we have someone who’s willing to do things even if they’re not necessarily the brightest idea (barring the Bradley thing, because that was honestly very smart and I’m sad editing opted not to show it) versus someone incredibly intelligent who’s too timid to do anything about anything! Which is the greater evil, friends? I’m not entirely sure, especially given as Donathan can be knocked for seemingly crumbling to Laurel’s will, but I can safely say, this season isn’t a good one since the Merge hit, and these two are the ones who I think are to blame. To be as fair as I believe I can to Laurel and Donathan, I’d like to reiterate a point I made a few posts ago as well as add a little something else to the mix. Firstly, to repeat a previous point, Laurel and Donathan chose to take the path of least resistance, one which, while denying either of them the victory, most easily allows them to get into striking distance of it. This level of calm, long-term gameplay is important for anyone to win (unless you’re Tony), as knowing that needlessly betraying people or playing with little to no social game does not bode well for one’s chance to actually garner Jury votes. I still contest both Laurel and Donathan have taken this level of calm to an extreme of complacency, but it’s worth noting this probably lends logic as to why their ill-fated idea to not rock the boat came to fruition. Secondly (and onto the proposal part of this), Laurel and Donathan were scared of repercussions with idols. Obviously, both know Wendell and Dom are rocking them, so the intimidation factor of lying to their faces before writing their names down had to be a real, jarring force. Again, I don’t think this excuses not at least trying to do something, but this is one thing, in my opinion, that production could do something about. How, you ask? Simple, do a season in which there are no idols. Imagine, if you will, dearest readers, a time when social game was paramount for one’s longevity, when staying up all night to find idols wasn’t strategy, and when Pagongings were overcome through finesse, not surprises. I am, of course, talking about the first eleven seasons of Survivor, before there was ever such a thing as a Hidden Immunity Idol. Although HIIs have become an integral part of the game nowadays, part of their original purpose was to prevent Pagongings, making for more interesting gameplay, hypothetically. Let’s examine how well that’s worked out, shall we? 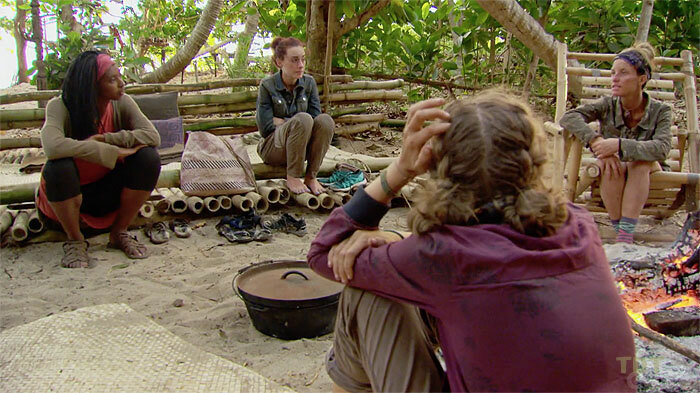 During those first eleven season, there were only two true Pagongings based purely on Tribal lines: Borneo and Thailand, though All-Stars likely would have been had Shii Ann not won a timely immunity. Just looking at true Pagongings, however, they occurred roughly 18% of the time during the first era of Survivor—27% if you add in All-Stars. Compare that to the subsequent twenty-five seasons in which viewers saw Pagongings in Cook Islands, Redemption Island, and South Pacific. While it’s not a staggering difference, that’s only a true Pagonging in 12% of seasons, which, all things considered, is pretty good. If you factor in Pagongings thwarted or delayed by immunity wins, however, you can add in Panama, Gabon, Samoa, and although not on OG Tribal lines, Worlds Apart. Adding on those four seasons, then, Pagonging actually increases from 27% to 32%. My point here is not that idols have led to more Pagonings, because despite idols having little historic precedent for completely ending systematic elimination of a tribe or alliance (merely delaying them at best like in Caramoan), I don’t think there’s any evidence to suggest they make them happen more. My only point is, if idols have no effect on Pagongings, one of the reasons they are so prevalent in the game today, would it really be such a bad idea to just have a season in which Jeff says to everyone when the land on the beach, “Hey. No idols this season,” and let them go back to Survivor’s roots? I think not (and hey, if production wants its twists, maybe just hide an extra vote or two instead). Laurel, Wendell, and Dom are the FTC with Dom narrowly inching out his main man for the title. Hope to see y’all next season, but starting law school seems daunting… we’ll play it by ear.